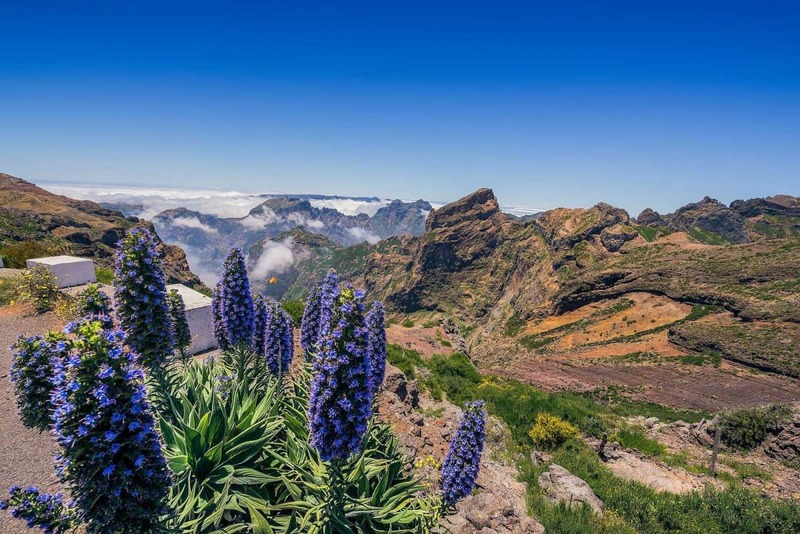 Flights to Madeira from Europe, the UK, the USA and Canada are excellent and there are lots of options to consider all year round. With daily direct flights from the UK and many other European countries this small island is well catered for as well as being a major winter European stopover for the Cruise liners. Most routes from the UK are served by TAP Air Portugal, British Airways and Azores Airlines (previously SATA Air Azores) as well as the budget airlines such as Easyjet, Thomson, Jet2, Norwegian also provide some convenient direct flights from regional airports in the UK. The infrastructure on the island is exceptional with well maintained tarmac roads and an impressive tunnel network. The Madeirans drive on the right in keeping with other European countries and there are currently no toll roads in Madeira. There are plenty of car hire places available on the island, at the airport or in Funchal and other main cities. 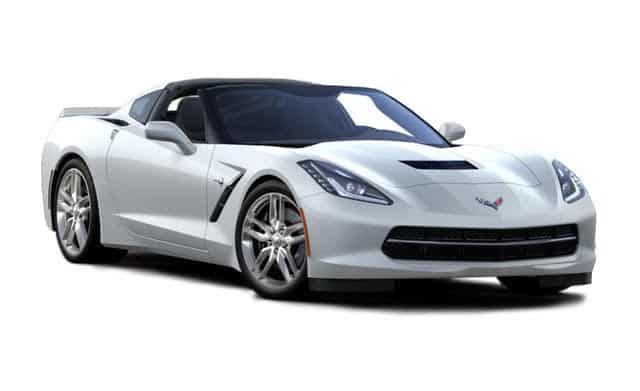 Vehicles are generally fairly new and range from super mini to people carrier. Fuel is a little lower in price than the UK. There are different speed limits along the motorway and in the cities and these will be clearly sign posted. Mopeds and bicycles are also available for hire and a European style license (with photo ID) is required for all motorised vehicle hire. 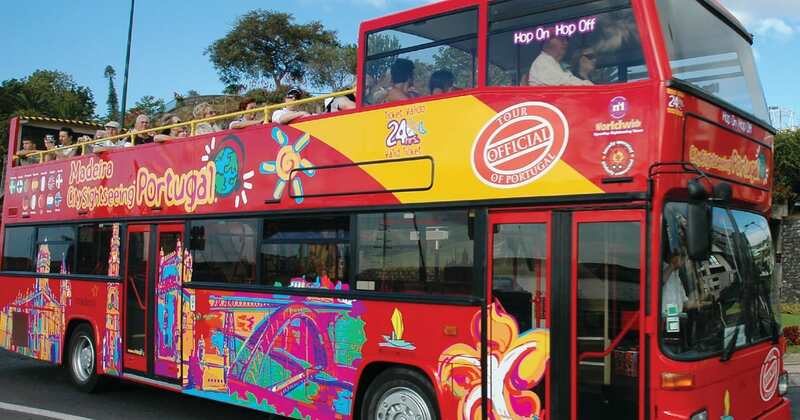 Public transport: there is a good public transport service which covers the whole island, or taxis can be arranged if you prefer private transfers. Taxis are an excellent way of getting around as many drivers speak English and prices are competitive compared to the UK. The yellow taxis are generally quite new and safe and of a high standard. 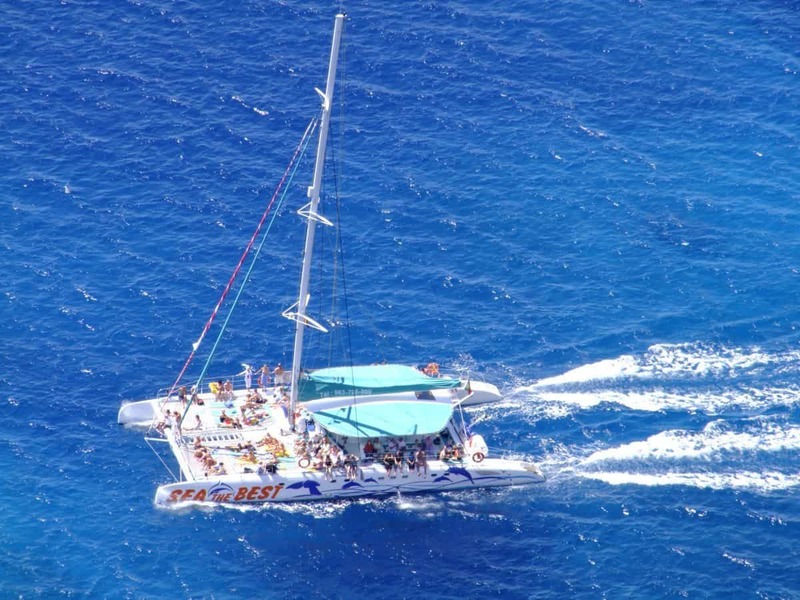 There are several Catamaran companies in Madeira Island that organise trips around the island. It is recommended that you take a copy of your travel insurance policy in case of any emergencies. ATM machines are common in most towns and credit cards are accepted in larger restaurants and shops, but you will still need Euros for smaller establishments. Madeira is on Greenwich Mean Time. There are many pleasant cafés and restaurants on Madeira and prices are generally reasonable. For dinner (with wine) allow from £10 – £30 per person. Local beef, pork and chicken are readily available and local fish is a speciality and greatly varied. Madeiran bread, cheese, wine and rum are excellent. There are mini supermarkets in most towns and prices are displayed and fixed. It is safe to drink the water from the tap. Many Madeirans have lived and studied abroad for part of their lives and young people often speak excellent English. The Madeirans are very friendly and family focused so children are welcome everywhere. The capital city of Madeira is Funchal which means wild Fennel in Portuguese ‘Funcho’ which used to grow in abundance here. It sits on the temperate south coast of the island, within a natural amphitheatre valley whose slopes rise from the marina, up to the Monte and Palace Gardens. 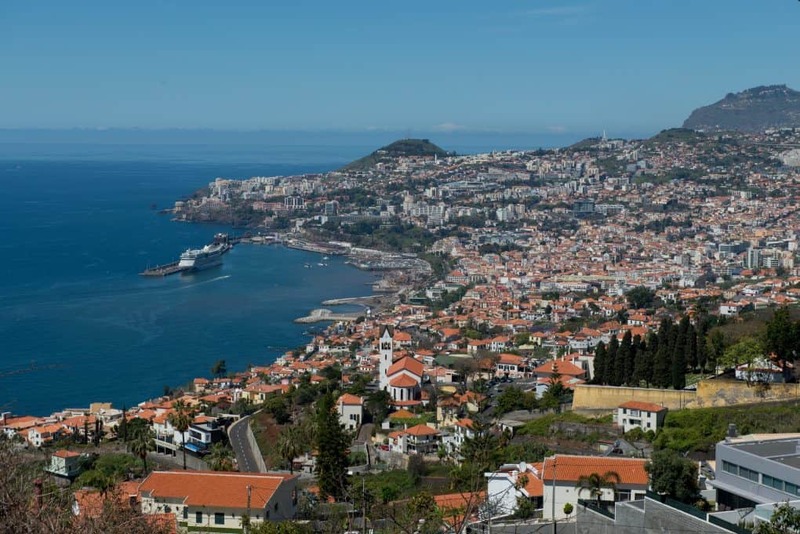 Funchal has around 150,000 residents, making it Portugal’s largest city outside of the mainland. It’s the cultural centre of the island with traditional narrow cobbled streets, mosaic pavements and an eclectic mix of traditional and modem architecture. 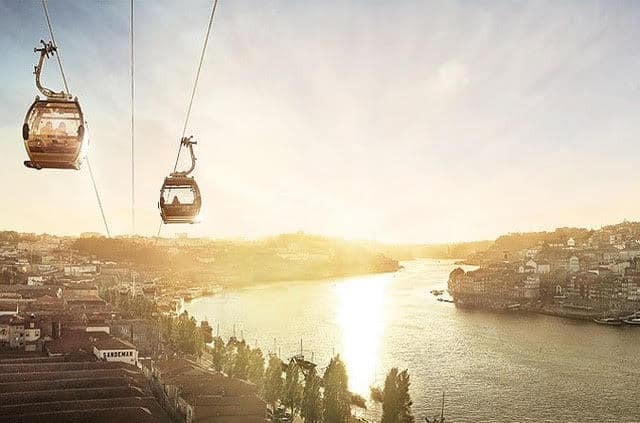 You can go Whale and Dolphin Watching from Funchal’s marina, whilst the Teleferico (cable car) is a great way to view the city reaching the top at 600 meters at the Monte Palace Botanical Gardens. 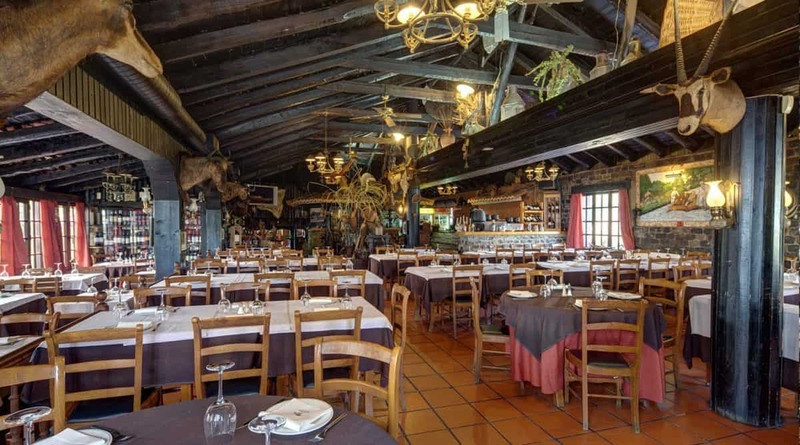 If you are interested in the history of the famous Madeira wine you shouldn’t miss out on a tour of the Blandy’s Wine Lodge, including some wine tasting at the end. English speaking tours are held throughout the day. The east side of Funchal around Rua Santa Maria is known as the Zona Velha (Old Town district) and has an endless selection of restaurants and coffee shops, amongst its narrow streets and alleyways. The food here tends to be a mix of traditional Portuguese dishes with some Madeiran diferences. From 9pm onwards grab a table outside one of the bars on Largo do Corpo Santo where local musicians perform in its small square. Northeast Madeira is the best region if your a walker and want to explore the island of Madeira on foot. From the dramatic coastal paths and magnificent coves at Ponta de Sao Lourenco, to the shortest way to get to the top of the Achada do Teixeira peak. 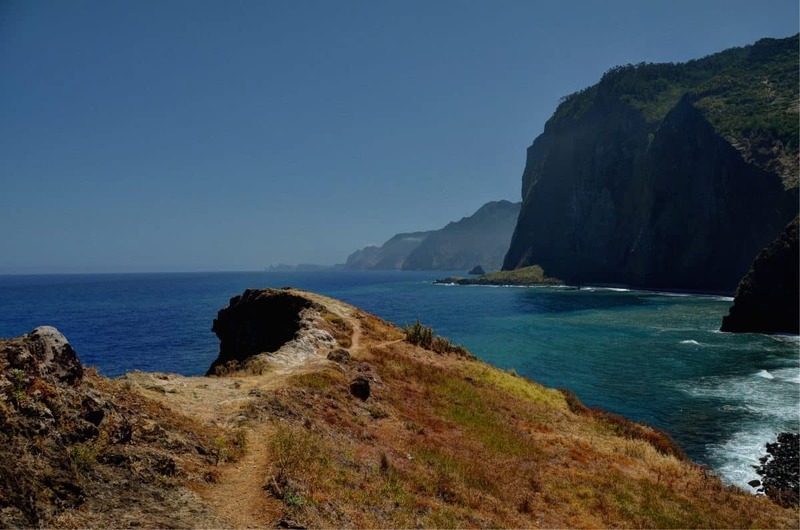 Along the north coast there are numerous small towns and villages that are worth a visit, from striking rock formations near Faial to the rugged mountains inland and the traditional straw houses in Santana to the most beautiful little church in Sao Jorge. The contrast between the dramatic and wild northwest coast and the arid plateau of Paul da Serra at the centre of the island shouldn’t be missed. The coastal road from Sao Vicente to Porto Moniz is the most scenic road on the island. Whilst the much drier area at the centre of the island is great for walking and mountain biking. The coastal road from Sao Vicente to Porto Moniz along this part of the island is breathtakingly beautiful. Stop in Seixal which has good views of ‘Veu da Noiva’ (Bridal Veil waterfall). Whilst you’re there why not try some canyoning, as the valleys near Seixal have fantastic waterfalls waiting to be discovered. Paul da Serra is a mountain bikers’ paradise, and in a valley near Rabacal you can follow one of the most popular Levada trails ’25 Fontes’ (25 Springs). Is primarily a beautiful golden nine kilometre long sandy beach. It is said that Christopher Columbus once lived on the island. You can visit his house which is now a small museum in the main town of the island — Vila Baleira, The heart of the town is the beautifully paved Largo do Pelhourinho, which surrounded by date palms. 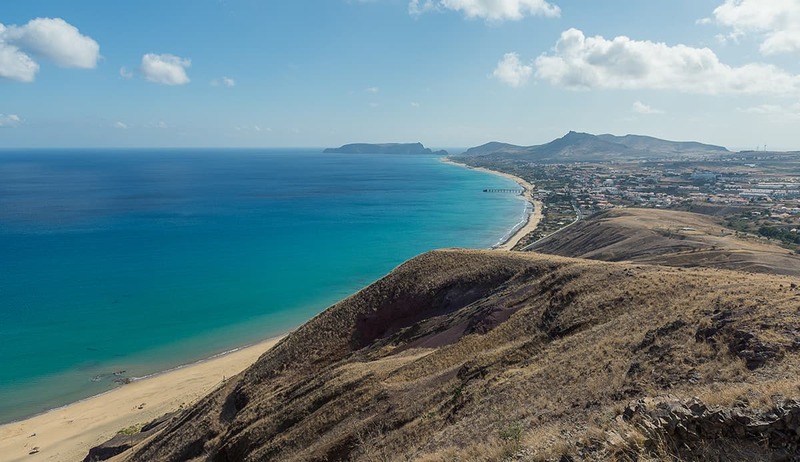 Porto Santo’s warm waters and hidden coves are ideal for diving and snorkelling. It’s a two hour ferry crossing from Funchal marina to Porto Santo or a short 15 minute flight. From dramatic valleys steeped in history, to a little harbour town where one famous person found the peace and quiet he sought. The region’s most impressive and most popular valley is the ‘Curral das Freiras (Valley of the Nuns), nestled in the centre of the island. You either view the cauldron-like valley from a panoramic platform or you can follow trails down to the village. Not for the faint-hearted, the trail is steep, but it’s interesting to see why the nuns retreated here in 1566, to escape the pirates who were attacking Funchal. You can look down on to the highest cliffs of Europe whilst standing on a glass bottomed platform at the skywalk at Cabo de Girao. If you are interested in seeing some wicker craftsmanship then you should head for the Camacha region, where you can still see people making baskets and even furniture by hand. But if you prefer a more peaceful and relaxing day, a visit to the fishing village of Camara de Lobos with its little squares and alleyways, would be a perfect outing. Winston Churchill too fell in love with the place and its little harbour. Southwest Madeira is known for its pretty fishing villages and never ending sunsets. Head inland and the West’s wooded ridges and ravines are home to some seriously fun mountain biking trails. For anyone with a good head for heights and a strong pair of legs, there’s the walk down the cliff steps from Prazeres to Paul do Mar — one of the oldest, steepest paths on Madeira; at one time the only means of access to the remote fishing village of Paul do Mar when the sea was raging. By contrast, the more modern town of Calheta in southwest Madeira is a small holiday resort in with its busy marina, spa hotel and man-made beach. The coastal village of Calheta is home to one of the island’s few surviving rum distilleries at Engenho da Calheta. Perhaps better known for its fortified wines, Madeira also produces white rum from the sugar cane which grows in abundance on the island. Although the factory is a going concern, it’s also a living museum with many of the original 19th Century production methods still in use today. The old lighthouse at Ponta do Pargo marks the point where North Madeira meets South, with its the frighteningly steep sea cliffs. The weather on Madeira is great all-year-round. However as a sub-tropical island with many micro climates around the island there can be the occasional torrential rain which cause rivers and levadas to flood that sometimes cause land slides and rockfall. November to March are the months when you can expect some rainfall and even some snow in mountainous areas. 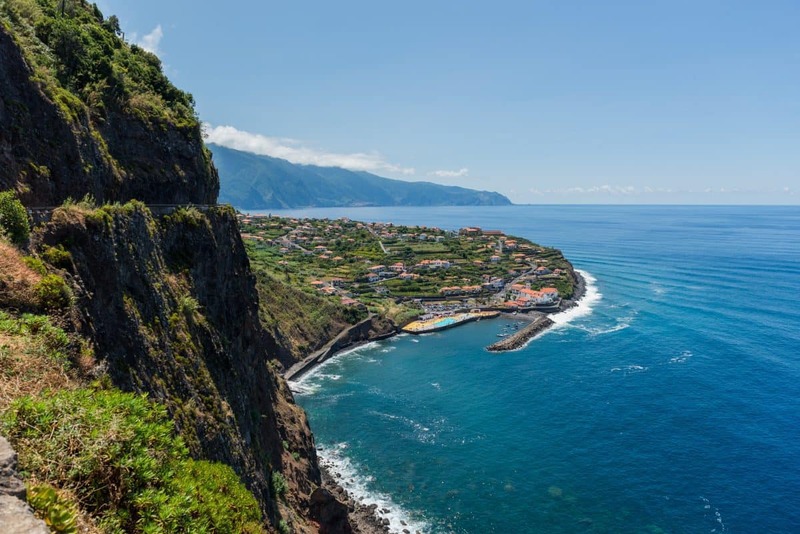 The Madeira Archipelago is located in the Atlantic Ocean, in the African plate 978 km south of Portugal, and approximately 33 degrees north latitude and about 700 km west of the African coast, and only has a total area of 796 km2. Because of its volcanic origins, it has a very rugged landscape with high mountains and deep valleys, with a proliferation of different vegetation and shades of green. The mild climate in Madeira Island is not a recent phenomenon. While the rest of Europe suffered from effects of the last glaciation, the island’s Atlantic location protected it from the most destructive temperatures. This ensured that in Madeira we can still find the original laurel forests of Europe. The topography and the prevailing winds ensure the island has many micro-climates which, combined with the exotic vegetation, is one of the important attractions for the tourist industry. Precipitation is highest in the northern part of the island and there are large temperature variations throughout the year from the north to the south of the island. The island’s mild climate ensures that almost all agricultural products thrive and allows the extremely interesting sub tropical fruits and vegetables to grow as well as the traditional Mediterranean produce. The same applies to the extraordinary flowers where the exotic flowers like strelitzias, orchids and anthuriums, mingle with common species such as hollyhocks, hydrangeas and hibiscus, and roses dotting the landscape with a multitude of colours. The Autonomous Region of Madeira is composed of 11 counties and 54 parishes. Funchal is the most populous county and the capital of Madeira which is subdivided in 10 parishes. The population of the whole island has only approximately 250,000 inhabitants overall. There is a famous Farmers Market designed by architect Edmundo Tavares which is steps away from the old historic area and was designed in the art deco style. The main door opens onto square where local fruit and vegetables are sold daily. 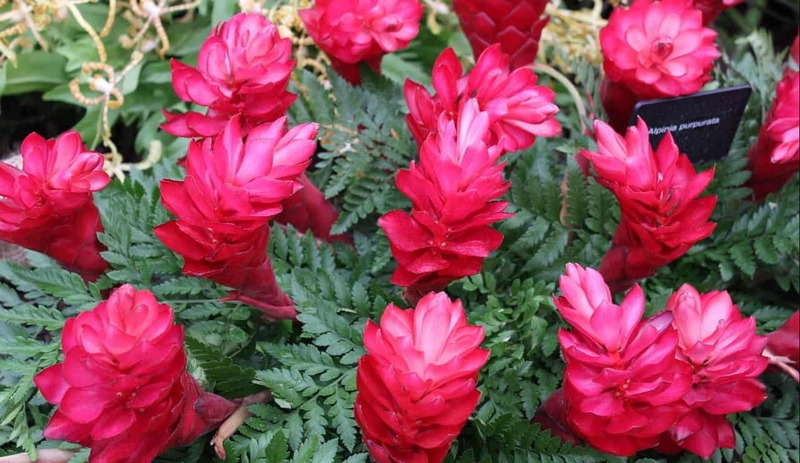 There is a flower section loaded with the native tropical flowers such as camellias, proteas, strelitzias and orchids. At one end of the building is the traditional fish market displaying the seasonal typical Mediterranean fish as well as the local tropical fish from the warm waters of the gulf stream. The heart of the city is at the cathedral built in 1485 and the majority of public buildings that surround it have kept their original design. The construction of the Cathedral in 1485 and completed in 1514 was ordered by King Manuel who gave precise instructions for its location and funding. There are dozens of streets and squares to visit all lined with traditional Portuguese cobblestone sidewalks. The Sacred Art Museum has a rich collection of Flemish paintings, evocative splendor of the sugar trade is housed in the former Bishop’s Palace. Many of the paintings were purchased by the merchants of the sixteenth century. One of the museum’s façade is facing the Town Hall Square with the center filled with a fountain designed by architect Raul Lino in 1942. The area of Sao Pedro and Santa Clara was where the most important families first settled. Further uphill there is the Santa Clara Convent and church. The convent was founded by the son of Joao Gonsalves Zarco. The Joao Carlos Abreu Universe of Memories museum displays various sculptures, paintings and a library. Across the street is another museum called the Quinta das Cruzes in the house where Joao Gonsalves Zarco lived and is surrounded by lush gardens where you will be able to see an archaeological park, lapidary stones and Orquideario. Located at the Arriaga Avenue are the San Francisco cellars also known as the Old Blandy Wine Lodges. The wine stores hundreds of vintage bottles with over a hundred years, ready to sell to the public. Across the street is the fortress and national monument called the St. Lawrence palace which is a beautiful example of a seventeenth century military architecture and the residence of the island’s governors between the eighteenth and nineteenth centuries. Further down the road is the Baltazar Dias Municipal Theatre built between 1884 and 1887 and inspired by the famous “La Scala” in Milan. In the city there is accommodation for all pockets and tastes. The standards of the services provided here in Madeira is very high. One of the most inspired hotels of Madeira is Reid’s Palace Hotel which is like taking a trip back in time. The hotel is the creation and dream of William Reid, a Scotsman who came to Madeira with 14 years and with only five pounds in his pocket and worked tirelessly to build one of the most luxurious hotels in Europe. Oscar Niemeyer, the famous Brazilian modernist architect designed a remarkable hotel and complex in the second half of the 1970’s. Seen from above the hotel is the moon and the casino is the shape of the sun. The area of Machico has 68.31 km 2 and approximately 22,000 inhabitants and is divided into 5 parishes. It was in this county that the discoverers of Madeira Joao Gonsalves Zarco and Tristao Vaz Teixeira first landed between 1418 and 1420. Ribeira Brava has 65.40 km 2 and approximately 14,000 inhabitants is divided into 4 parishes. The origin of this counties name is due to its river Ribeira Brava meaning wild river that in the rainy season has a very strong flow. Situated just fifteen kilometers from Funchal, the municipality of Ribeira Brava has a cultural heritage. There is much to see with Ribeira Brava Parish Church, a small fortification called the Sao Bento Fort, the Madeira Ethnographic Museum which is housed in an old house that worked from the nineteenth century as plantation of sugar cane crushing and production of brandy and a small core museum dedicated to religious art. In the ancient manor dating from the eighteenth / nineteenth century where Francisco Heredia Correia the Viscount of Ribeira Brava is located the town hall. Inside a magnificent garden with many natural species still exists. Santa Cruz has 81.50 km 2 and approximately 46,000 inhabitants, divided into 5 parishes. The Santa Cruz village is one of the oldest of the island, dating from the fifteenth century beginnings. The municipality was created on June 26, 1515, was elevated to city status to August 2, 1996. Santa Cruz Parish Church, built by King Manuel I, began as a small chapel, Camara de Lobos has 52.15 km 2 and has approximately 37,000 inhabitants and is divided into 5 parishes. The Camara de Lobos municipality was created in 1835 and the village was elevated to city status on 2 August 1996. In this county is produced universally famous Madeira wine. Camara de Lobos is also renowned for its fishing especially the black scabbard, an activity that gives the main visual feature of the city. Calheta has 115.65 km 2 and approximately 12,500 inhabitants subdivided in 8 parishes. Calheta is the Madeira largest municipality and became a village 72 years after its founding on July 1st 1502. 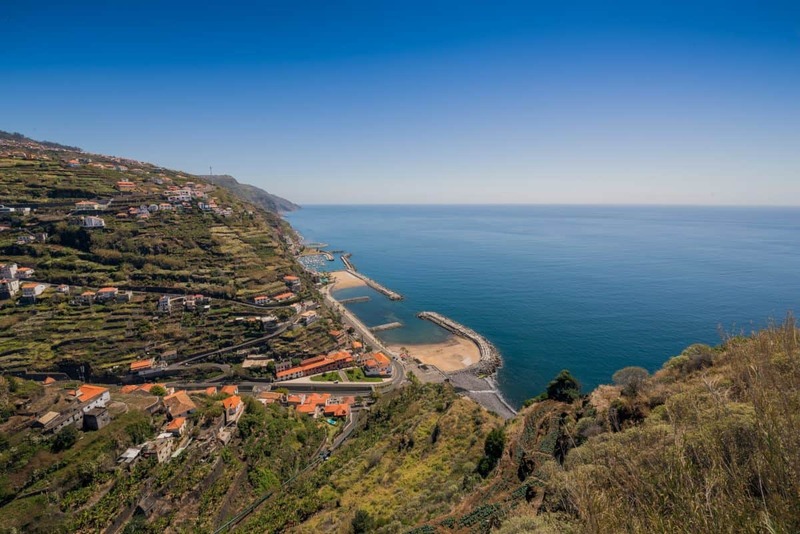 Ponta do Sol has 46.19 km2 and 9,500 inhabitants (and is divided into three parishes. The settlement of Ponta do Sol dates back to 1425, shortly after the discovery of the island by Portuguese settlers coming from Minho, the Beiras and the Algarve. Its is said to have the most fertile soil in the island and is one of the most active agricultural production areas, especially for sugarcane. Sao Vicente has 78.82 km 2 and approximately 6000 inhabitants subdivided in 3 parishes. The settlement of Sao Vicente took place in the mid-fifteenth century, colonised later than the southern part of the island for due to greater fertility of the soil. The county has a healthy tourist sector combined with rural tourism. Porto Moniz has 82.93 km 2 and approximately 3000 inhabitants divided into 4 parishes. Colonized at the beginning of the third quarter of the fifteenth century. Francisco Moniz, the Elder a noble and natural from Algarve is known as one of the earliest settlers. Currently the municipality is well known for its natural pools. Santana has 95.56 km 2 and approximately 8000 inhabitants divided into 6 parishes. This settlement toke place around 1550 with people from Minho (Braga), north of Portugal. 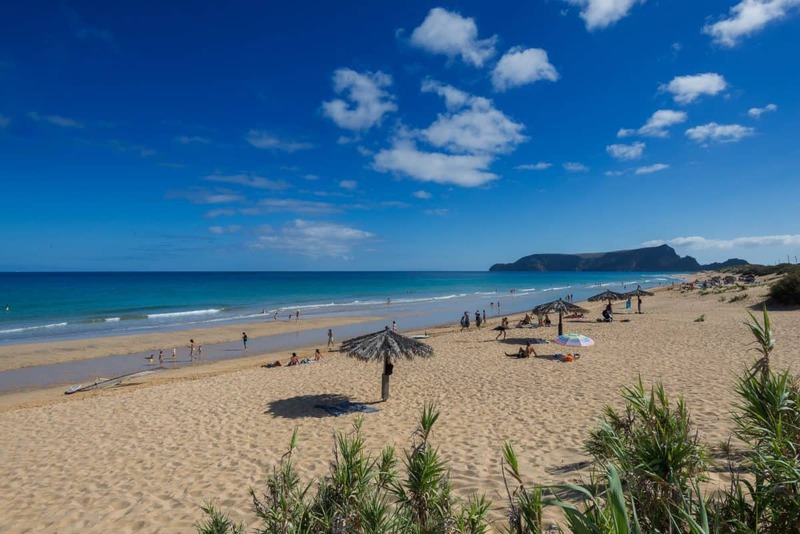 Porto Santo has an area of 42.48 square kilometers. It is one of the six municipalities of Portugal that have a single parish, which has the same name. It is often referred to as the Golden island by the islanders due to its long stretches of fine sandy beaches. According to the story Christopher Columbus inhabited this island, having married one of the daughters of his first captain donee Bartolomeu Perestrelo. One of Madeira’s biggest tourist attractions is its raw and unspoilt nature which is rich in biodiversity of endemic Fauna and Flora species. Classified as a World Natural Heritage Site by UNESCO, the Laurel Forest (Laurissilva) covers 15,000 ha, 12,000 of which are protected under the umbrella of the nature reserve. Effectively, there are no prehistoric remains or ruins of of any historical importance. 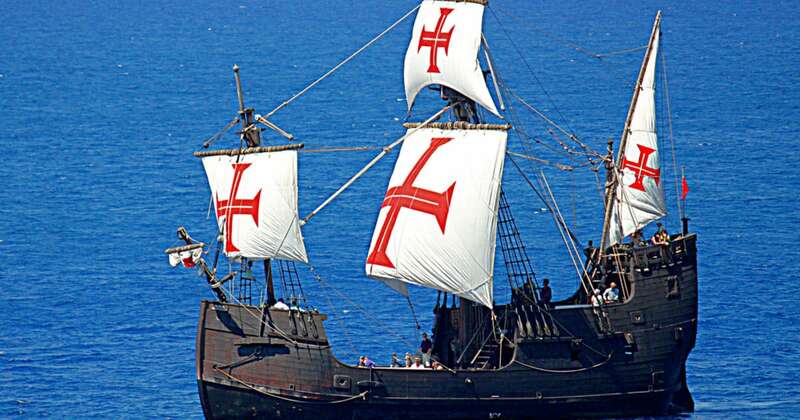 The presence of humans begins according to data with the arrival of the Portuguese in the fifteenth century. One of the jewels inherited from the past is the prehistoric bay forest that only survived here to the last ice age. Madeira has one of the best preserved vegetation of Macaronesia. The native flora, called Palearctic by botanists, is akin to the northwest of Europe, and the seeds have been carried by the wind, the birds and the ocean currents. The soil is acid and low in calcium and potassium, but rich in humus. There are more than 150 endemic species (plants grown only on Madeira) with new species being identified all the time. The Madeiran godiera, an extremely fragile orchid with white petals that lives between 300 and 800 meters. Although the total area does not exceed 737 km2, plant biodiversity is extremely varied. Near the sea, where it is the agricultural land, the weather is dry and hot throughout the year, developing numerous herbaceous species in the sea cliffs. Laurisilva forests grow between 300 and 1300 m of altitude, and are a replica of the forests that once covered much of Europe until the last ice age. Classified by UNESCO as a Natural Heritage, it is the largest bay forest in the world. An enchanted forest full of secrets with an enormous biological diversity. Almost all the plants and animals that live here are exclusive from the laurel forest, such as the wood pigeon. The evergreen tree leaves of the laurisilva once covered 60% of the island but with various fires, agriculture and human settlement, the area has now reduced to 20% which is approximately now15,000 hectares, most of which is in the middle and the north coast of the island. The temperature is a crucial factor for these forests as they grow best in deep, moist ravines sun as Ribeiro Frio and Ribeira da Janela. Here the coastal fogs are frequent and humidity levels exceed 80%. There are also the tilde, the Barbusano, the mahogany or beech trees as well as the Madeiran Cheesewood, White Stick and Madeira Elderberry. The floor is covered in green and red tones from the ferns, lichens and mosses. These forests are vital to the nature and island economy as they help to conserve water not only rain and but also fog descending from the highlands. Without them, the Levadas would not ensure the irrigation of crops throughout the whole island. Above the altitude 1300 m, where the laurel is no longer suited grow small and heather shrubs which is resistant to cold and precipitation. When the first settlers arrived in Madeira, the only mammals that they found were bats, one of these being the endemic Madeiran bat. All other terrestrial mammals that now exist such as rabbits, rats, horses, goats, cows and dogs, were introduced by man. Of the approximately 3300 species of invertebrates cataloged, thirty percent are unique to Madeira. On the archipelago there are 42 species of birds of which nine are endemic. The islands are part of two of the largest sanctuaries of seabirds in the world: the Desertas and the Selvagens Islands which is vital to their nesting. The freira-da-Madeira, an extremely rare bird and that was thought extinct, was rediscovered in 1969. It became known as Freira-da-Madeira or Zino’s petrel. This small black and white marine bird, mates in the central mountains of the island and only lays one egg per year with an estimated population of 40 couples, this being one of the species where both partners remain faithful to each other for life. The Madeira pigeon only exists in the laurel forest area with a total estimated population of 10,000 individuals. 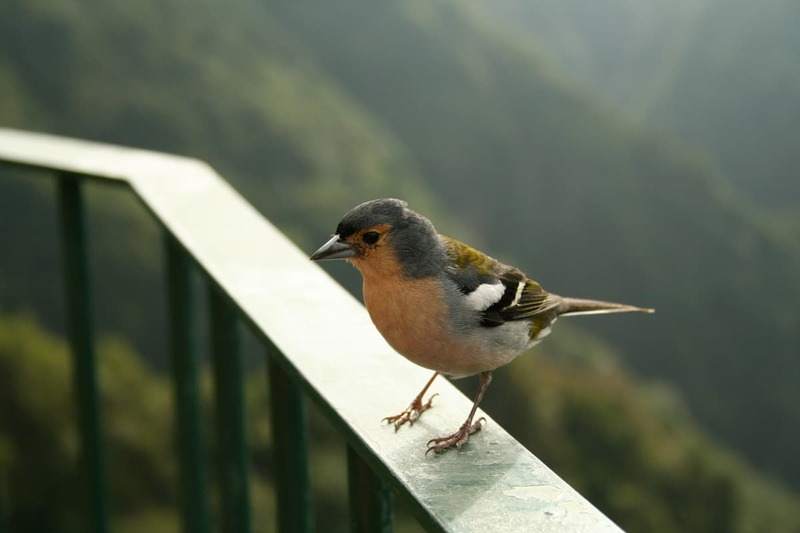 Equally interesting are the mountain swallow, the run-ways, the calcamar, the chaffinch, the firecrest and the cigarette. A few amphibians and reptiles, exception made to Madeira endemic lizards are very common in the gardens of Funchal. 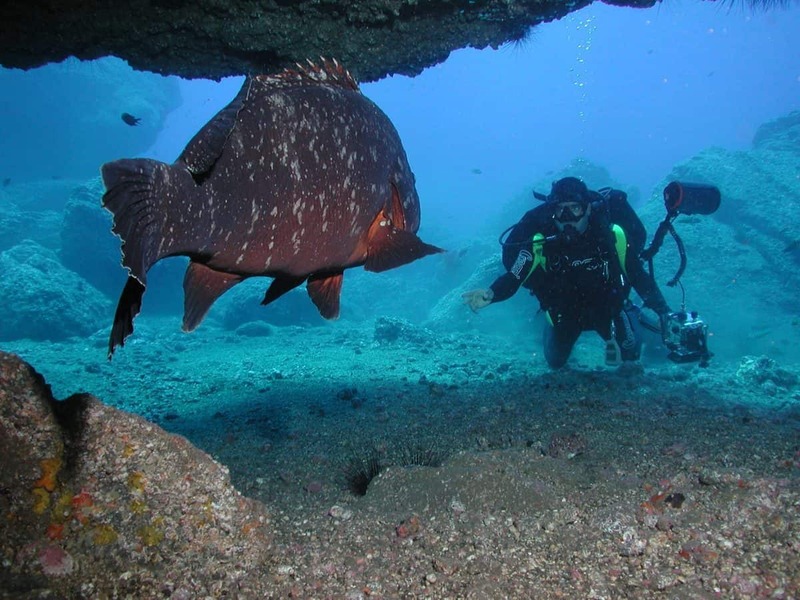 The waters of Madeira are a haven for marine mammals the most famous of which is the monk seal, also known as wolffish thought o be only approximately 500 spread from the north west coast of Africa to Madeira. A colony of more than 20 members live in the Desertas Nature Reserve, making frequent forays to the Ponta de Sao Lourenco. Dolphins of various species live here all year round as well as a 18 kinds of whales. 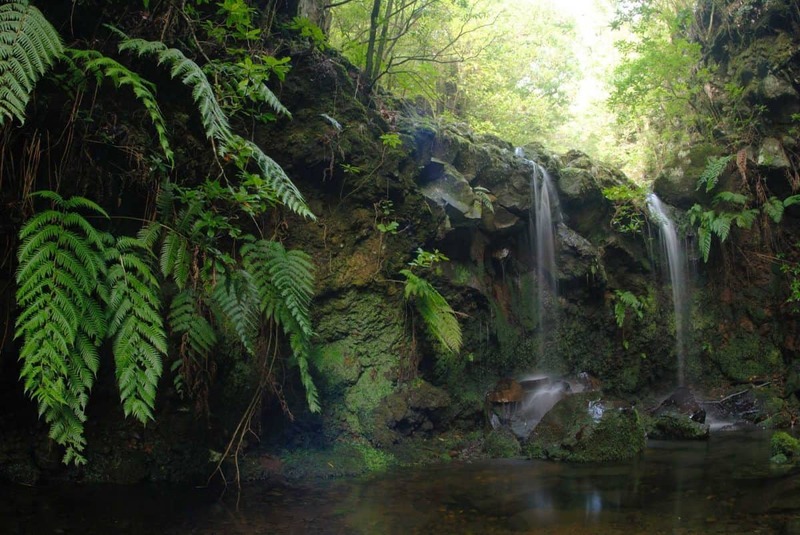 The Garajau Natural Reserve is located east of Funchal and occupies approximately 376 hectares of sea. Other species to be seen in this nature reserve is, painted morays, garden eels, rays and turtles. With crystal clear waters this is a great place to dive and discover marine life. 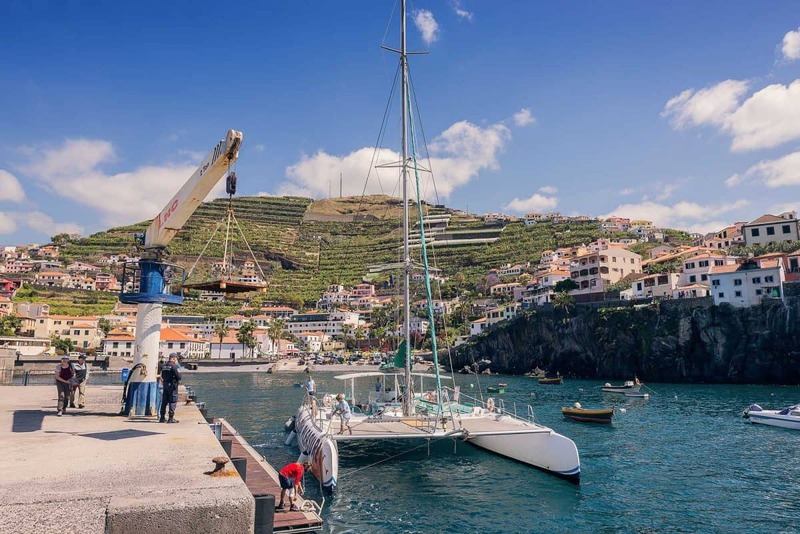 Many big game fishing enthusiasts flock to Madeira to catch marline specially from May to September, blue or record tuna, whose weight exceeds 300 kg. Other species much appreciated by lovers of big game fishing are the white Marlin, swordfish, Indian mackerel, rabilha, bigeye, albacore, skipjack and barracuda. 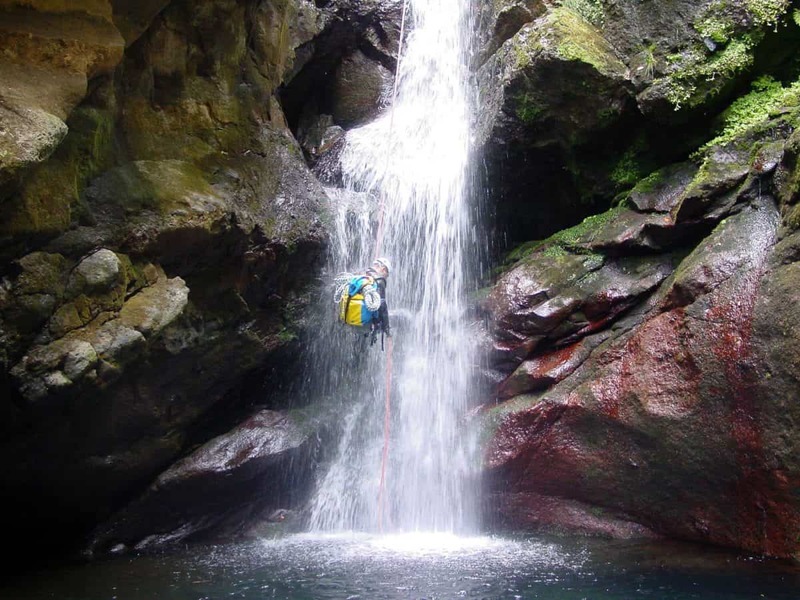 Madeira has recently become Europe’s go-to island for Canyoning holidays. You will be driven up into the beautiful green valleys on the North coast of the island where you’ll get into a wet suit, helmet and harness, before climbing, jumping and abseiling down a forest gorge. 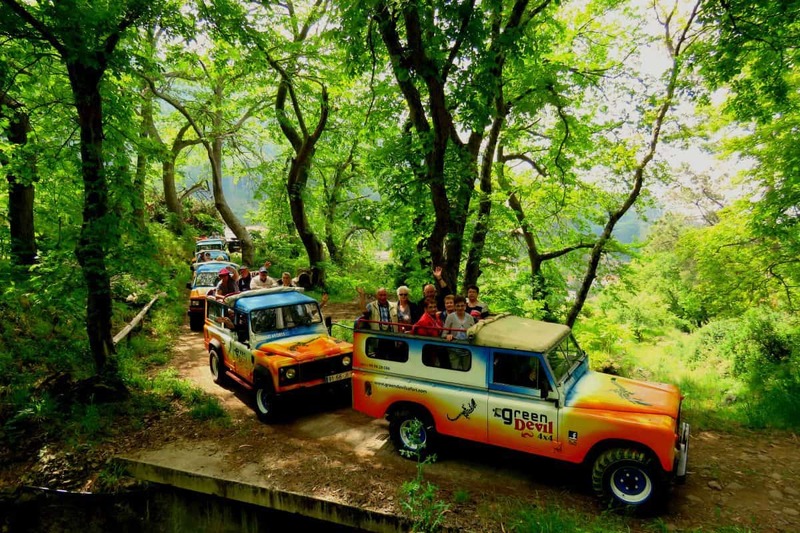 A very popular tour is the 4 hour tour to Curral das Freiras — the Nuns Valley. 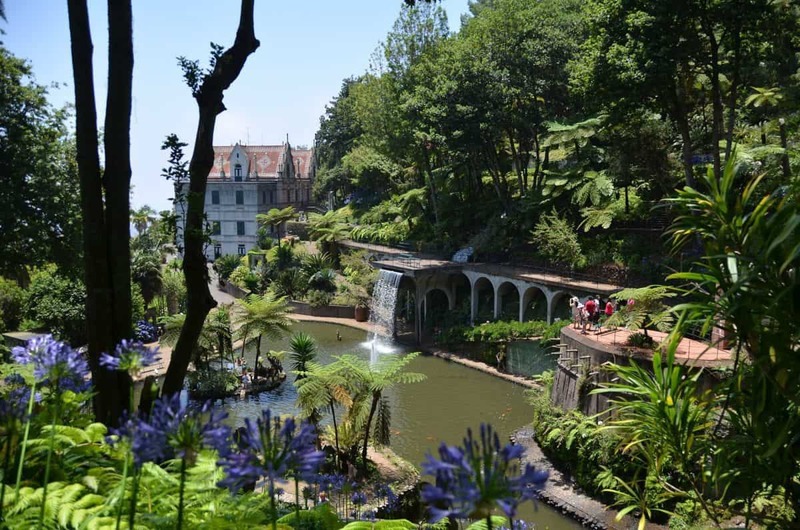 The day starts with your visit to the Monte Palace Gardens and the historic church of Nossa Senhora do Monte, before heading over the high mountain pass into Madeira’s most famous valley Curral das Freiras. The valley is renowned for it’s cherry and chestnut crop and the annual Chestnut festival on the 1st of November. The island’s seemingly endless network of trails are attracting more and more riders each year. 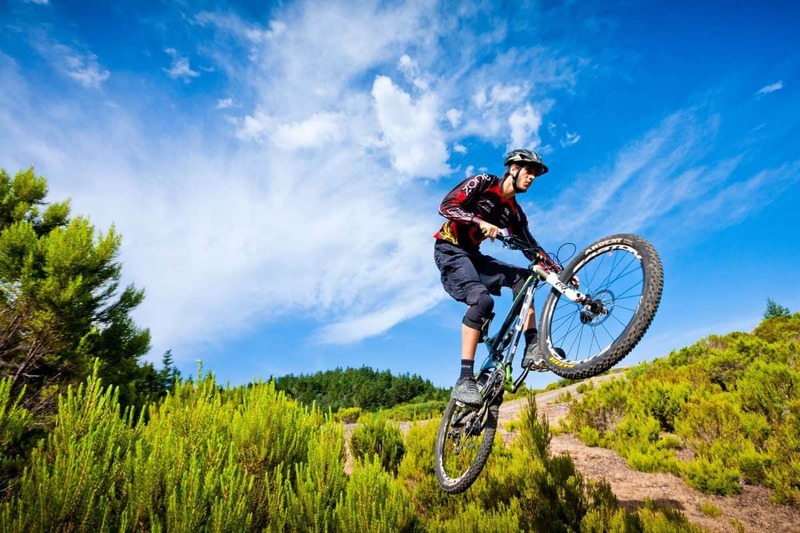 The island has a bit of everything for excellent mountain biking holidays from XC trails that mix Madeira’s famous Levada’s with spectacular coastline single track. Flowy, woodland descents crisscrossing full-on downhill tracks and steep technical zig-zagging footpaths that hug the cliffs on the North Coast. Madeira’s position in the North Atlantic and the temperate winter makes it the ideal destination for Whale and Dolphin watching. The most common species are Sperm whales which are sighted throughout the year. 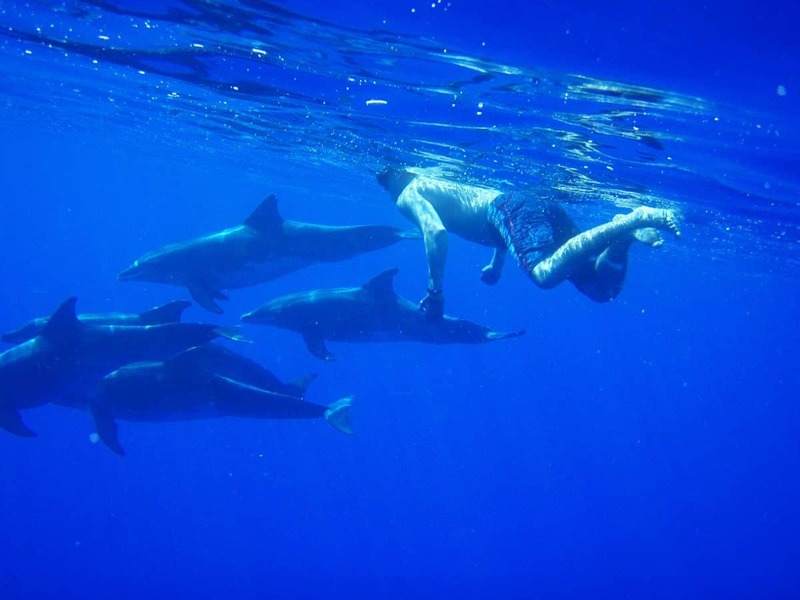 Common Bottlenose Dolphins are probably the most well-known Dolphin Species and are resident in the waters around Madeira all through the year. Bryde’s Whales are also spotted all year around as well as Atlantic spotted Dolphins. Short-finned Pilot Whales tend to visit between the months of November and April. Madeira Island is a UNESCO World Heritage site with various eco marine parks and is an outstanding scuba diving destination and haven for an endless variety of marine flora and fauna as well as diverse marine life like barracudas, monkfish, stingrays, groupers, salps, seabream, mobula rays, manta rays, seals, dolphins and whales. 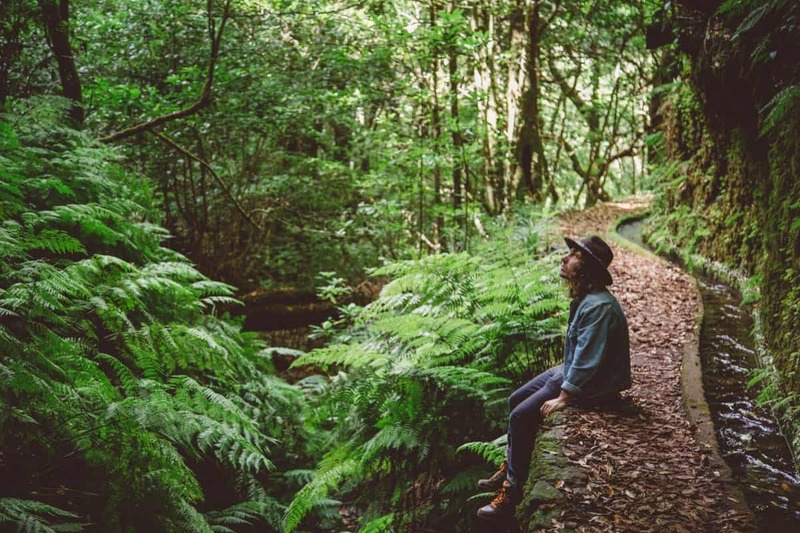 The Levada “Walks” are walking trails along the maintenance paths beside the Levadas originally constructed for agricultural / industrial use they are just as important for tourists and local people who want to enjoy outdoor adventure activities inaccessible by cars. 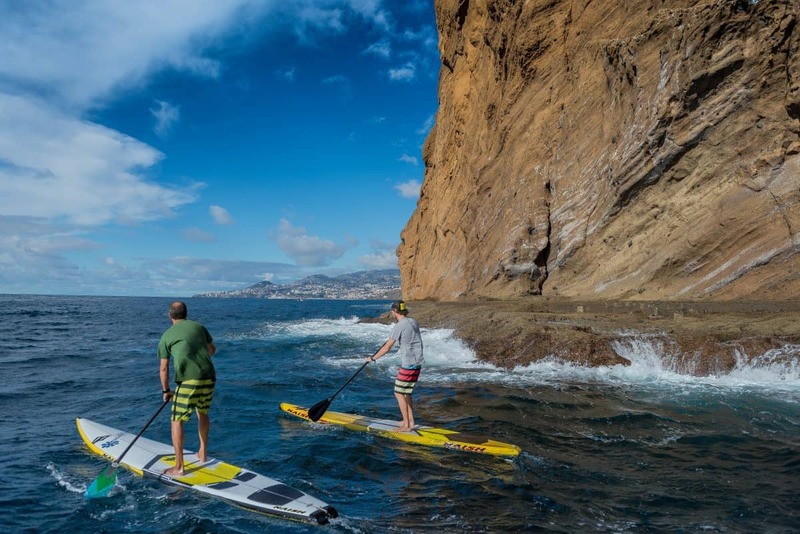 Explore Madeira with a single Stand-Up Paddle Board. Hire a board or take a tour with an instructor to view this amazing green and lush island from the coastline where other vessels cannot reach. Wether you want to try something new or just keep fit whilst taking in the scenery – this activity is for you! Madeira is perfect for big game and deep sea fishing offering you a good chance to catch that monster fish. The pleasant climatic conditions in this beautiful Island in the middle of the Atlantic sea gives you the opportunity to fish for the most sought after fish like the massive Atlantic Blue Marlin from may to October, whose average weight is around 700lbs. These fish live in warm waters relatively close to the surface and once landed they will put up a fight you won’t easily forget. You will also get a chance to fish for White Marlin – May to October, Swordfish – March to September, Blue Fin Tuna – October to November, Yellow Fin Tuna October to December, Big Eye Tuna – March to June, Wahoo – June to January, Dorado – June to September, Albacore – November to February, Baracuda – April to October, Bonito – April to October, Hammerhead – September to December and the Blue Shark – September to December. 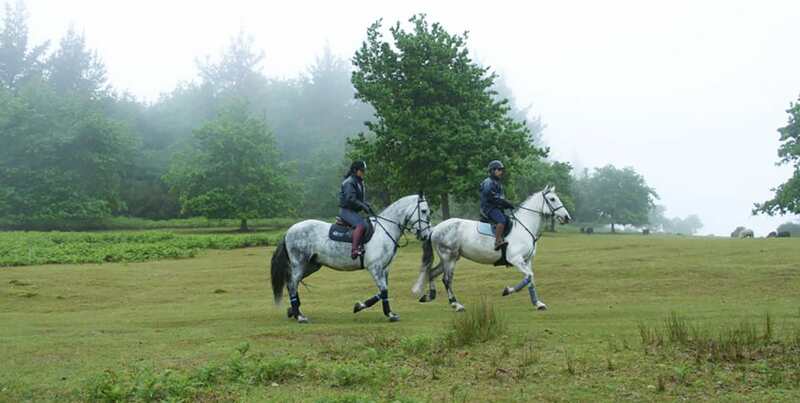 There is a variety of Horse Riding trail rides through the valleys, hills and forest where you can find amazing views of the countryside where you can admire the islands unique and fascinating flora and fauna. Madeira is an island of contrasts and what better way to discover it than by paragliding.Soaring high into the sky is the only way to appreciate this beautiful island full of contrast, join the buzzards and falcons soaring in the wind while catching glimpses of the whales and dolphins in the sea. 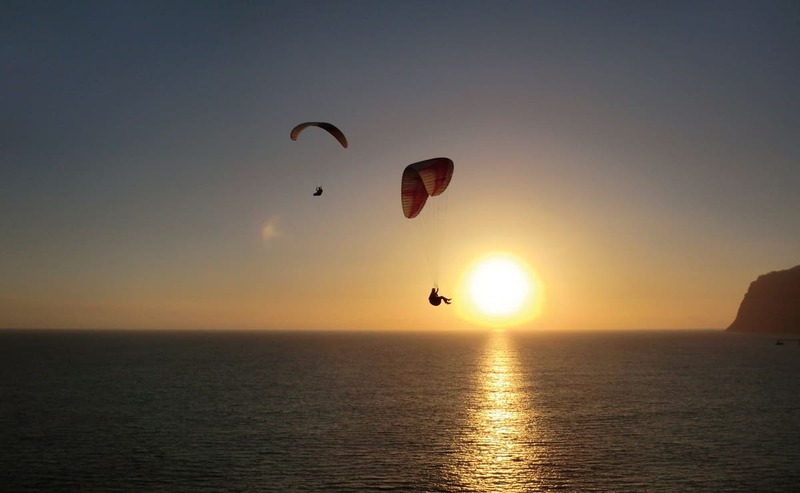 There are various companies offering this experience either solo or tandem. 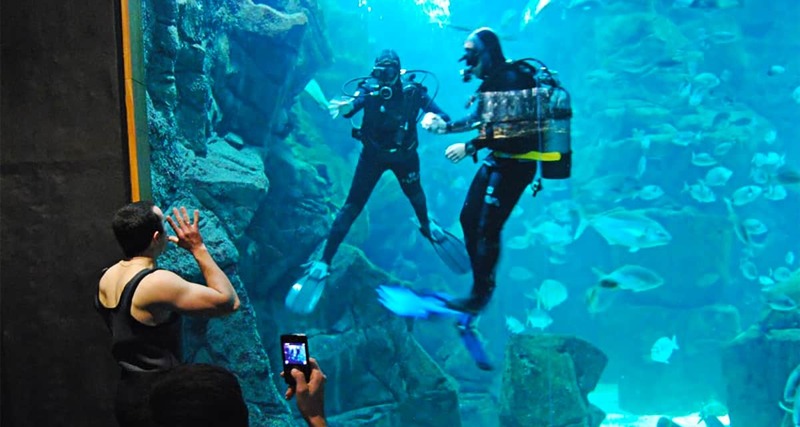 Whether you have diving experience or not you can dive with the sharks, rays and moray eels in Madeira Aquarium. Receive a certificate and have photos taken of your adventure. Madeira island has many good quality restaurants. Divert off the main tourist areas from the traditional type like the “Abrigo Do Pastor” or the “Espeto de Pau do Louro” right through to international cuisine of Sushi “Kyoto na Ilha” , Italian “ Il Basilico”, Chinese “ Pedras do Lago”and Indian restaurants “ taste of India”. We also now have 2 superb Michellin star restaurants at The Cliff bay hotel and Reids hotel. 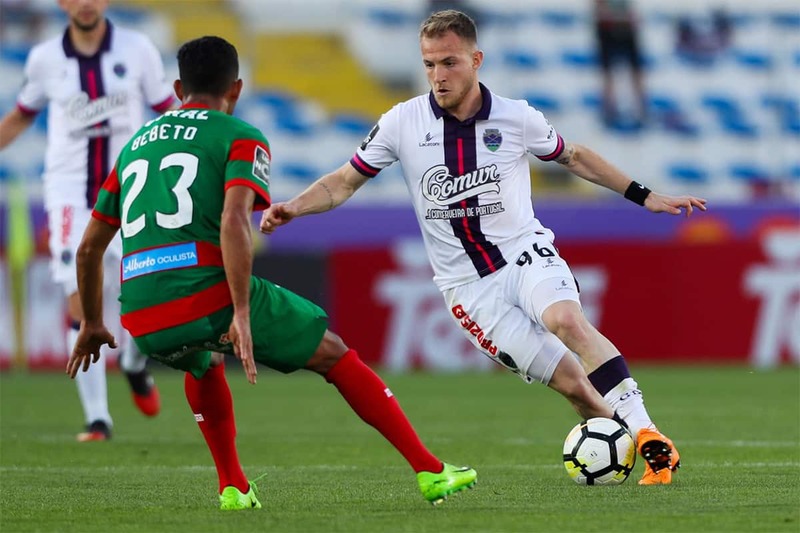 The football grounds of the national team of Maritimo and Nacional are in Funchal and you can easily buy tickets from the ticket office at the stadium and experience the electrifying atmosphere when the local team scores a goal. There is drums, music, the deafening roar of the fans and of course the famous commentators GOOOOOOOOOOOOOOOOAAAAAAAALLLLLLLLL! The Baltazar Dias Theatre is a tribute to the blind playwright from Madeira island, Baltazar Dias, a theatrical author in the second half of the 16th century, whose works have been performed in popular theatres in Europe, Africa and Brazil. 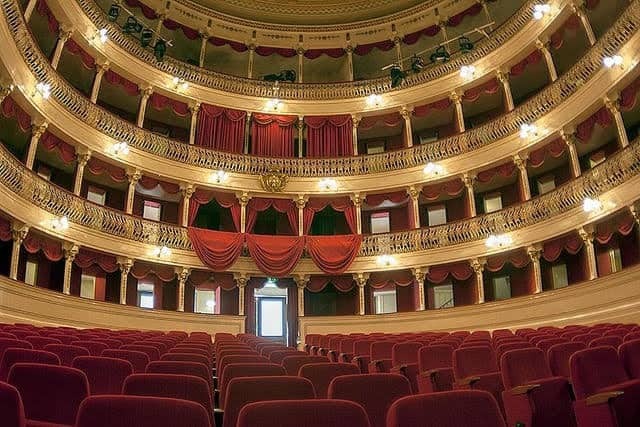 The Theatre is located right in the centre of Funchal and has the ceilings were painted with decorative elements of the romantic era, and the stalls are in horseshoe shape and surrounded by boxes decorated with Greek theatre masks in gilded carved wood. The casino in Funchal offers a considerable number of slot machines as well as the classic table games such as Blackjack and Roulette. Poker lovers will find Poker cash tables featuring Texas Hold’em Poker. Visitors can play the slot machines from 03:00pm until 03:00am and the live table games from 03:00pm until 03:00am. You can raise your bets on the poker cash game tables as early as 03:00pm and 03:00am at the latest. 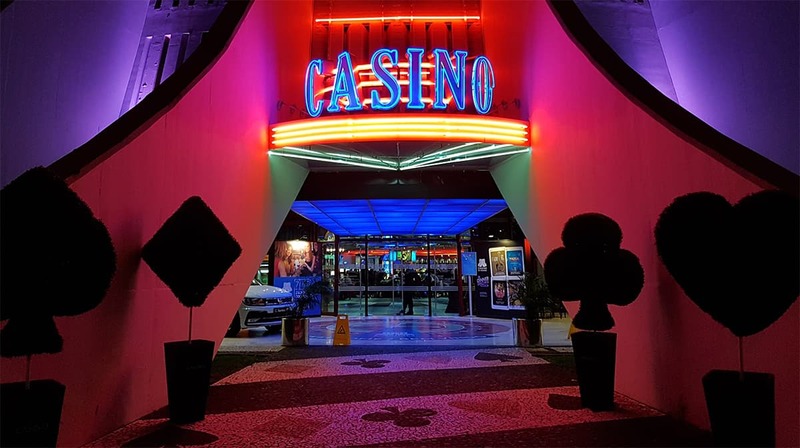 There are numerous cabaret type shows held upstairs which can be booked via the Pestana casino Hotel next door and can include 3 course meals. Both The Forum and madeira Shopping is a shopping centre complex containing a supermarket, cinema , food hall and numerous modern shops with car parking facilities and free wifi. Both shopping centres have public transport and are approximately 10 minutes from the centre of Funchal. You can hire almost anything in Funchal from a sports car, to Harley Davidson motor bike to a speed boat or a jet ski. There are numerous providers in funchal to cater for your every need. 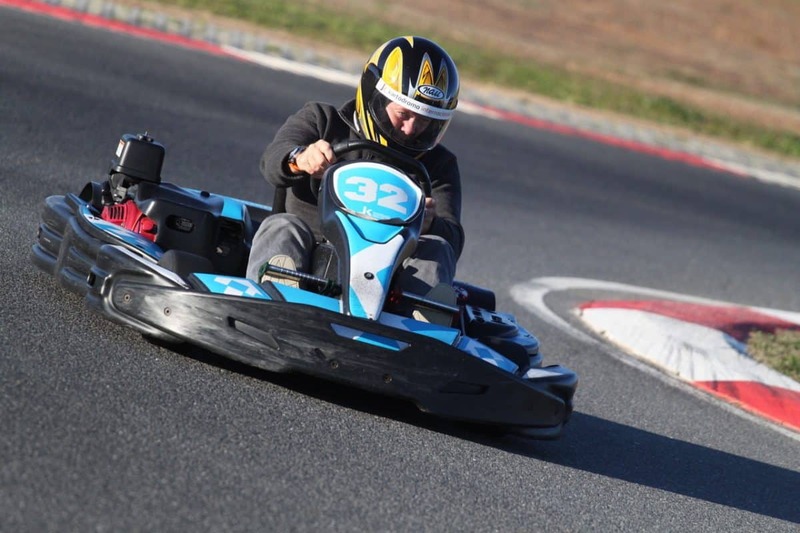 There are two places to go Go-karting indoors in Funchal or outdoors in the North of the island in Faial where you can have single and double karts. It is advisable to check opening hours and wheather conditions before travelling to the location. 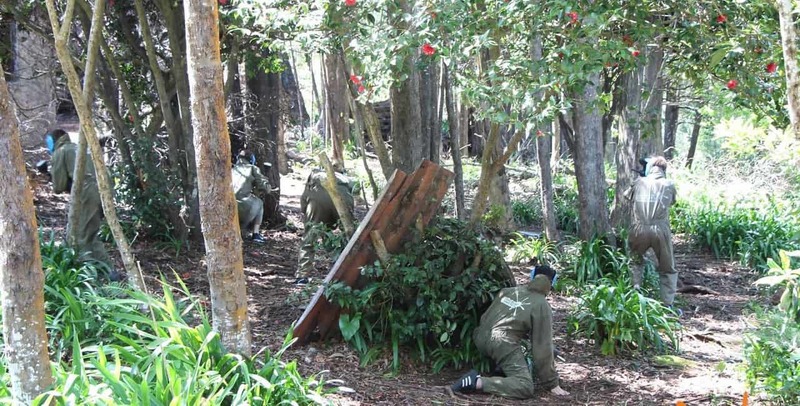 There are various paint balling companies providing an exciting day out for adults and children alike. Groups and parties can be catered for and play can be organised in various manners like team against team / eliminate the greatest number of opponents or capturing the flag. 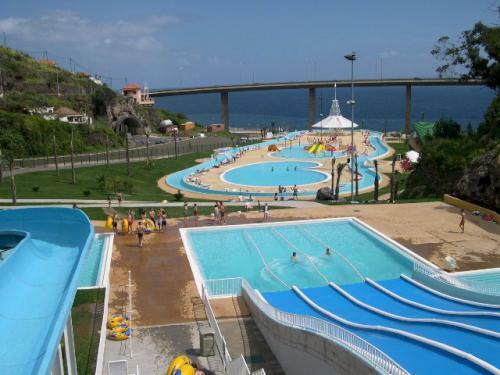 There are various waterparks in madeira (open only during the summer season – so please check for further details). The Sant Cruz facility has capacity for over 1,000 people and boasts five toboggan rides and four fast slides, as well as two seawater swimming pools (one of which reserved for children) and a saltwater lazy river running round the pools, a bar and locker rooms. there is a smaller aqua park facility in the Lido at Santa Cruz. Looking for a truly unique experience? 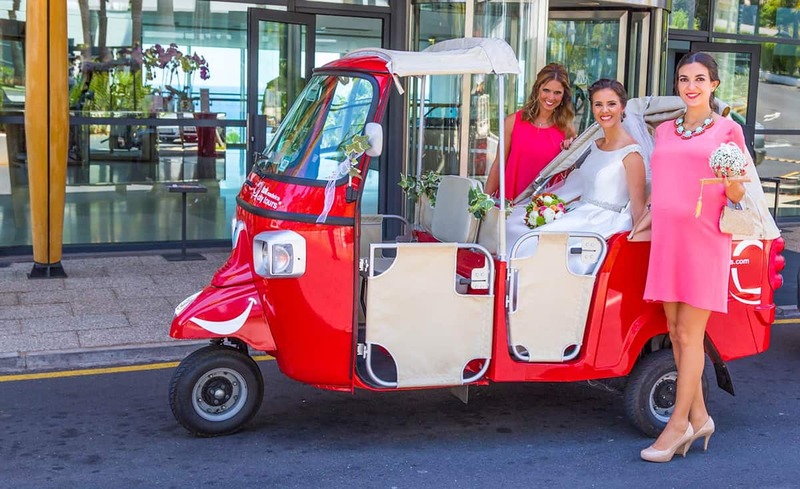 Discover Funchal on a segway – its eco friendly and easy to ride. 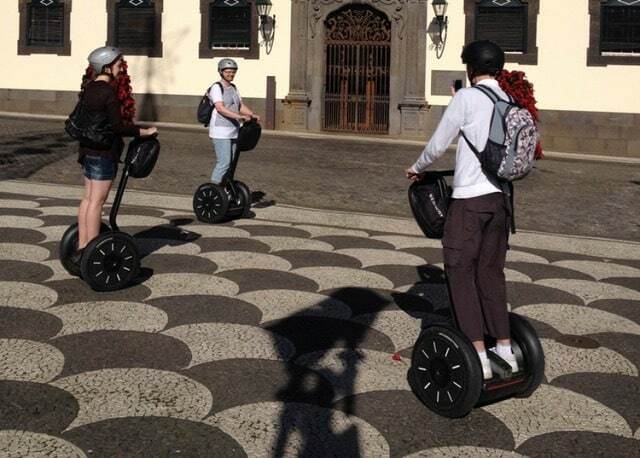 there are various companies supplying the hire of a segway with tours of funchal too. Take a unique perspective of Funchal and reach the top of Funchal “Monte” with a cable car from the town centre. 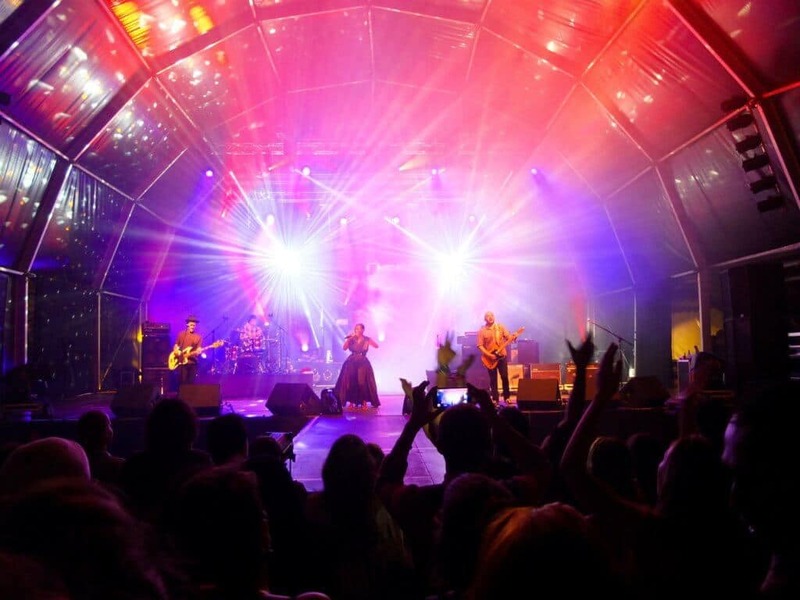 One of the highlights of the music scene in Madeira in the summer is the Music Festival Nos Summer Opening in Funchal. The Funchal Jazz Festival is also not to be missed if you’re a jazz lover with National and international renowned artists performing every year. The ALeste Festival is a great unpretentious music festival that has good live music by the sea. “The Hole in One” which is open everyday from 9 p.m. onwards where you’ll find a relaxed atmosphere sitting inside or in the outside the patio bar. “DTOX” is a cool tecno and acid jazz music bar with the added bonus that of serving excellent cocktails. “Trap” is a bar venue re-nouned for its cocktails and live music performances. Check their calendar of events and do not forget the happy hour. The famous “Café do Teatro” is right in the heart of the city, in Avenida Arriaga and has live music most nights. “Copacabana Garden” is a cool open air bar located in the Casino, part of the Copacabana club. It is renowned for its gin bar surrounded by palm treeswith live performances of local and and international bands. “Barreirinha Bar Cafe” has a cool crowd of people and of course live music performances by local and foreign musicians, Dj’s and movie screenings. 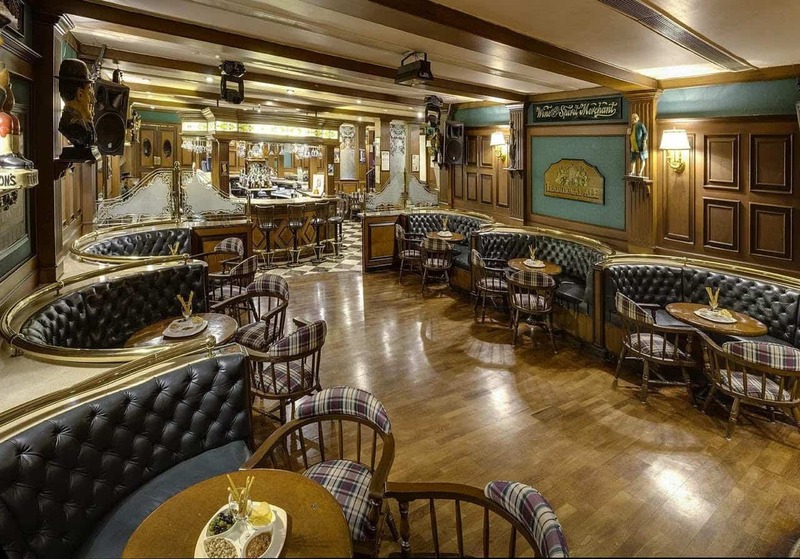 We have various English Pubs in Funchal and an Irish bar which is always good not only for the Guiness but also to watch the Football and Rugby matches live on TV. There are also numerous local Tavernas and bars serving the local “Poncha” which is a is a traditional alcoholic drink made with aguardentede cana (distilled alcohol made from sugar cane juice), honey, sugar, orange/lemon juice and with different fruit juices according to the version of poncha, but traditionally lemon juice is used. Tradition states in Madeira that “poncha” cures the common cold and people are encouraged to drink it if they have cold-like symptoms. The Casion and Copacabana disco beneath the casino with a music selection from the 70’s and 80’s through to Pop and house music. Latin music nights are held regularly. Vespas is one of the biggest and best nightclubs in Madeira open until 06.00am in the morning. 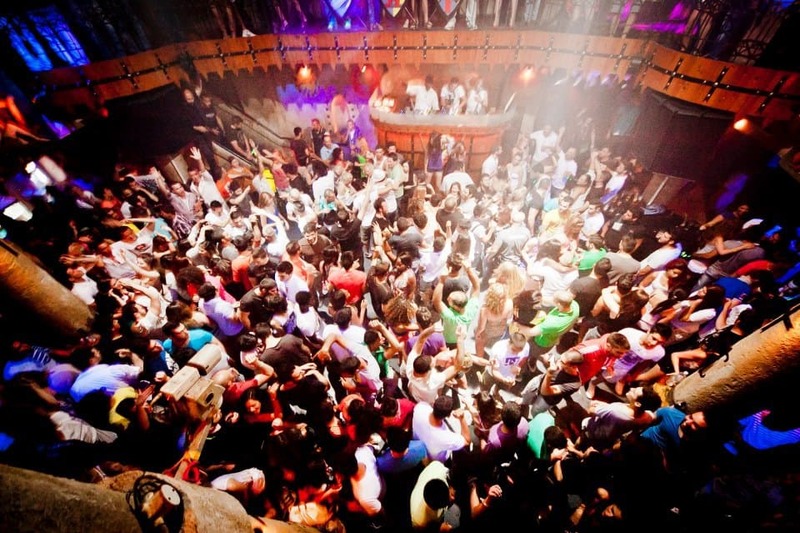 The Trap and Dubai clubs near the new Savoy hotel are open all week until late into the morning. The Sé Cathedral has a simple façade with a sturdy gothic doorway. Inaugurated in the early 1500s, its interior features beautiful Flemish paintings and an embellished ceiling carved from indigenous cedar wood, inlaid with ivory and gold. An unmissable historical site. The Igreja de São João Evangelista is a magnificent example of a Mannerist temple from the 1600s in transition to the Portuguese baroque. Featuring a collection of carved golden altarpieces, the church also contains an impressive grand organ and eight gilded chapels decorated with azulejos, the highlight being the Chapel of the Eleven Thousand Virgins. Dating back to the 18th Century, the Igreja de São Pedro took almost 150 years to complete. This lovely church is home to a vast collection of antique paintings, jewellery and furniture, and is adorned with traditional azulejos throughout the interior walls of its nave, chancel and vestry. The 15th Century Convento de Santa Clara was an enclosed order but is now open to visitors. Take a tour of the Gothic cloisters, ornate chapels and nave, which are decorated with azulejos in a striking geometric design. The convent also contains the tomb of Madeira’s founder, João Gonçalves Zarco. Built into the side of a cliff, this chapel was founded in 1781 in honour of the souls in purgatory. Said to be the world’s smallest church, the chapel contains a simple wooden altar, intricate frescos and a panel of tiles with the initials ‘PNAM’, meaning ‘Our Father, Hail Mary’. The interior walls of Igreja do Carmo are decorated with painted azulejos and Baroque carvings from the mid-17th Century. Visitors can also admire some beautiful works of sacred art, including jewellery and gold altar vessels. There are also two stately mausoleums in the walls of the chancel. Completed in 1822, the Holy Trinity Church has a distinctive neoclassical façade dominated by columns. The interior contains a compelling central dome and a fresco of palm trees to represent Madeira’s subtropical environment. The church lies within a peaceful walled garden filled with beautiful plants and trees. This 18th Century church boasts an elegant Baroque façade with delicately crafted wooden doors, as well as a beautifully painted ceiling, traditional azulejos and a gilded altar. Every year in May, this church is the starting point of a centuries-old pilgrimage celebration dedicated to the patron saint of Funchal. This chapel was built in the 15th Century in honour of St Pedro Gonçalves Telmo, the patron saint of fishermen. It also served as an infirmary for local fishermen and their families. Highlights include the Gothic portal and detailed paintings throughout the chancel depicting the life of the saint. Originally founded in 1655 (although an inscription on the portico reads 1683), the Capela da Boa Viagem was dedicated to Our Lady of Redemption. Entrusted to the local municipality in the early 1900s, this chapel is currently used as a gallery and contains works by Portuguese artists Francisco and Henrique Franco. Dating back to 1818, the Igreja de Nossa Senhora do Monte is the most important pilgrimage site in Madeira, with lively processions held every August. The church also contains elegant glass chandeliers, a revered statue of Our Lady of the Mountain and the austere tomb of Charles I of Habsburg. Built in 1420 and site of Madeira’s first religious Mass, the original chapel was destroyed by a terrible flood and its treasured wooden crucifix swept out to sea. Extraordinarily, it was retrieved and returned by a passing ship! Every October, the town of Machico celebrates this miracle with a candlelit procession. Established in 1694 at the mouth of the São Vicente River, this tiny chapel was carved into a solitary block of basalt in the exact place where the saint is believed to have appeared. The Baroque-style interior contains a beautiful altar and paintings of St Vincent on the ceiling. Situated on a headland overlooking the sea, the 18th Century Capela de Nossa Senhora da Piedade was built by fishermen who were miraculously saved from a shipwreck. Every September, locals commemorate this event with the procession of Our Lady of Mercy, accompanied by brightly decorated boats and traditional festivities. The parish church of Santo António was constructed in the late 1700s in a Rococo style, unique to Madeira. Featuring six altars, the church was restored in the 1920s and a large clock was added to one of the tall bell towers, which still keeps the time for local inhabitants. 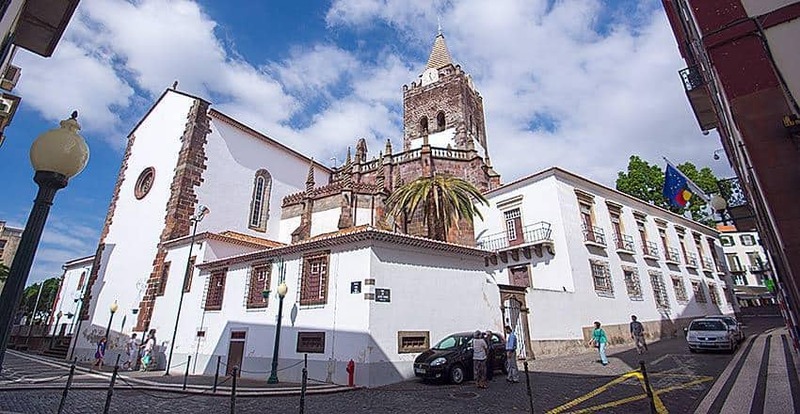 Although work commenced in the 18th Century, the handsome Igreja de São Martinho took over 150 years to complete as the size had to be adjusted to accommodate Funchal’s increasing population. Inaugurated in 1918, the highlight is the triptych containing images of the Annunciation, Nativity, Santa Ana and St Joaquim. This chapel is located in Quinta Vigia, headquarters of the Regional Government of Madeira. Here you will find interesting pieces such as sculptures and baroque paintings. Also noteworthy for the panel of tiles, which are depicted the Fables of La Fontaine, dating back to the nineteenth century. 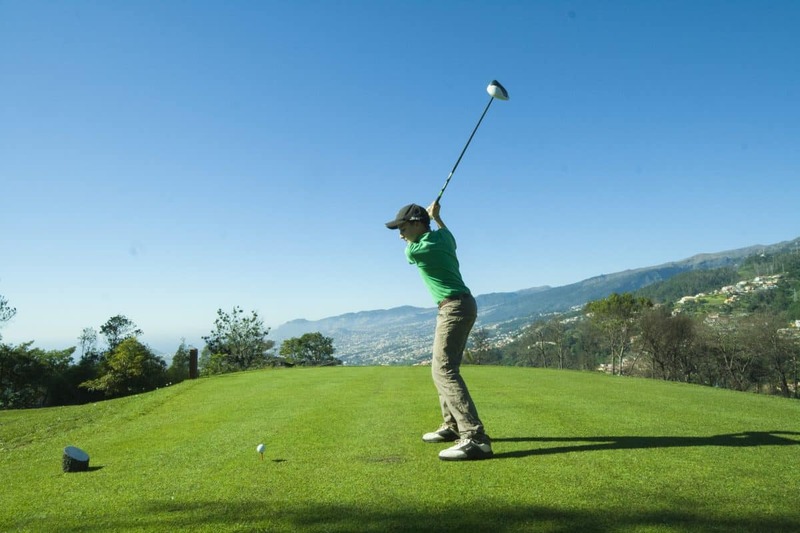 Set in the magnificent Palheiro Estate and lying adjacent to the five-star Madeira Island Hotel Casa Velha do Palheiro is this the 18-hole, par 72 Championship golf course. 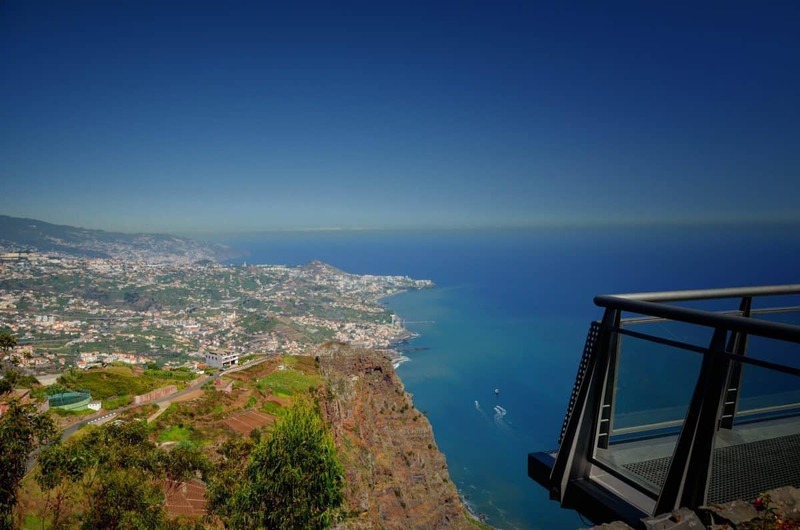 At nearly 500 m above sea level, the location has dramatic views of Madeira’s mountainous skyline, Funchal and the vast Atlantic Ocean. 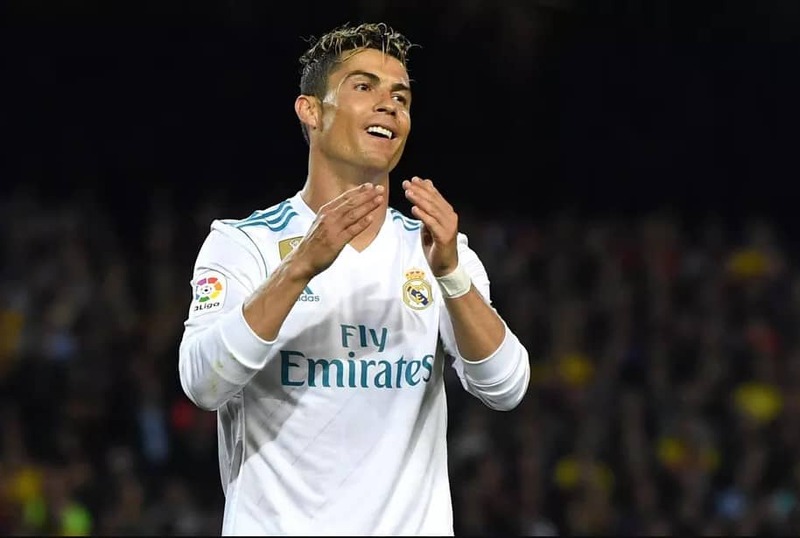 The CR7 Cristiano Ronaldo Museum is a homage to the great Madeiran football player Cristiano Ronaldo and displays the 126 trophies won by the Portuguese international. The 4-star hotel located on the island of Madeira, in the city of Funchal only 300 metres from the marina. 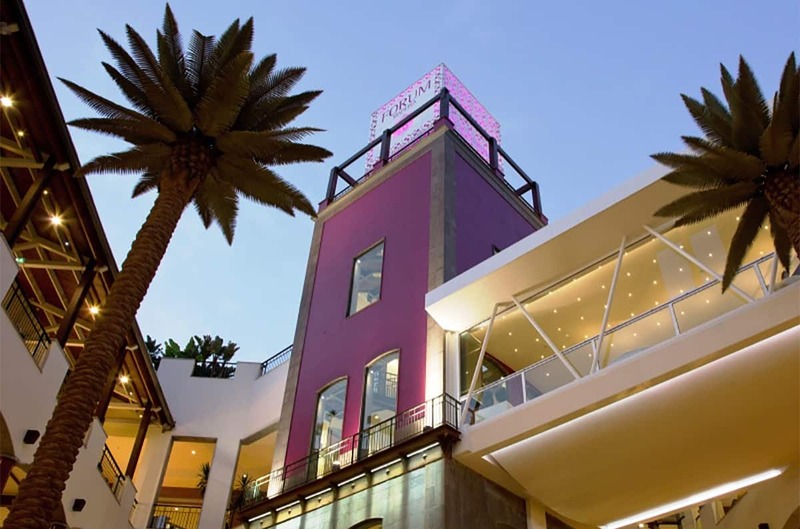 A collaboration between Cristiano Ronaldo and the Pestana Hotel Group, this lifestyle hotel offers contemporary design, making it Funchal’s latest hotspot. This part of town is considered to have the best variety of restaurants on the island. 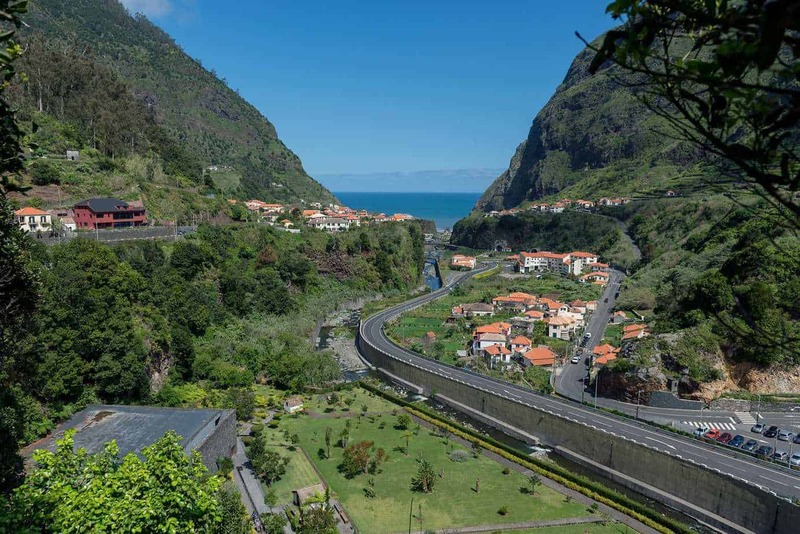 Other main features of this area include the Mercado dos Lavradores (Farmer´s Market) with the most exotic and tropical fruits and vegetables, the Madeira Story Centre, Forte São Tiago, The Bordal (Embroidery) Factory, and the Cable Car Station to Monte. 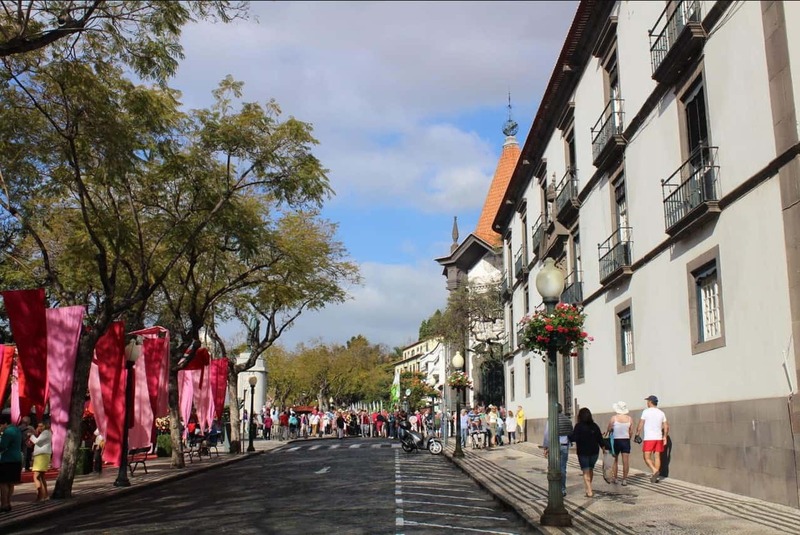 “Arte de Portas Abertas” Open Doors – is a public art program aimed at transforming Funchal´s Old town into a permanent outdoor art gallery by displaying over 200 works of art, by guest artists, painted on the doors of Rua de Santa Maria. 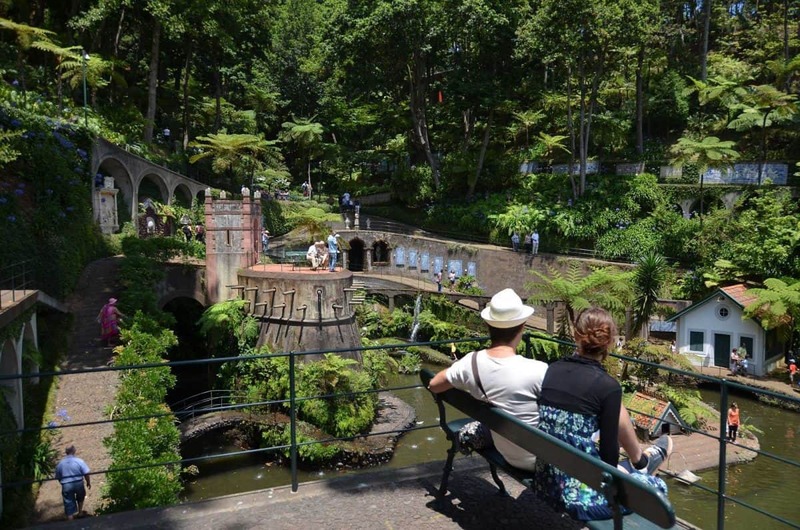 The Botanical gardens in Funchal were owned by the famous Reid’s family who dedicated 35,000 m2 of land to more than 2000 exotic plants, shrubs and trees thanks in most part to the mild climate conditions. It is now owned by the Regional Government of Madeira and, apart from being a beautiful place of leisure, it also serves as a Science and Culture Centre. 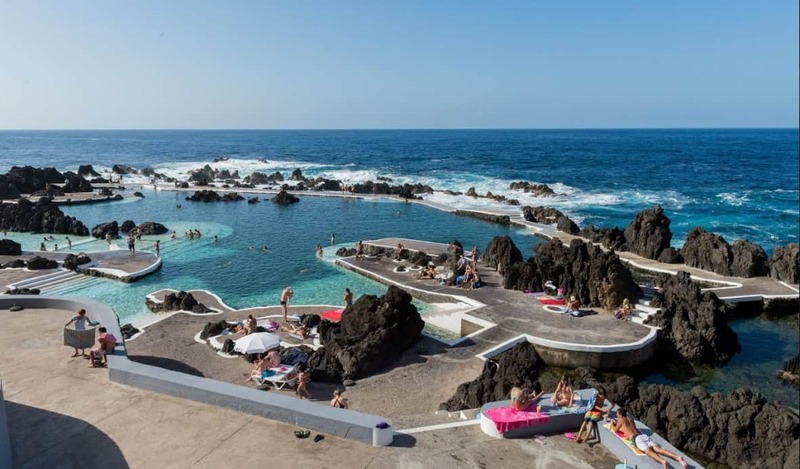 Porto Moniz is famous for its natural salt water swimming pool complex which has free access to the natural pools that are surrounded by large and small lava rocks jutting out from the sea, they are filled by the tide with crystal-clear salt water. If the weather is not good then pop into the Living Science Centre and the Madeira Aquarium.